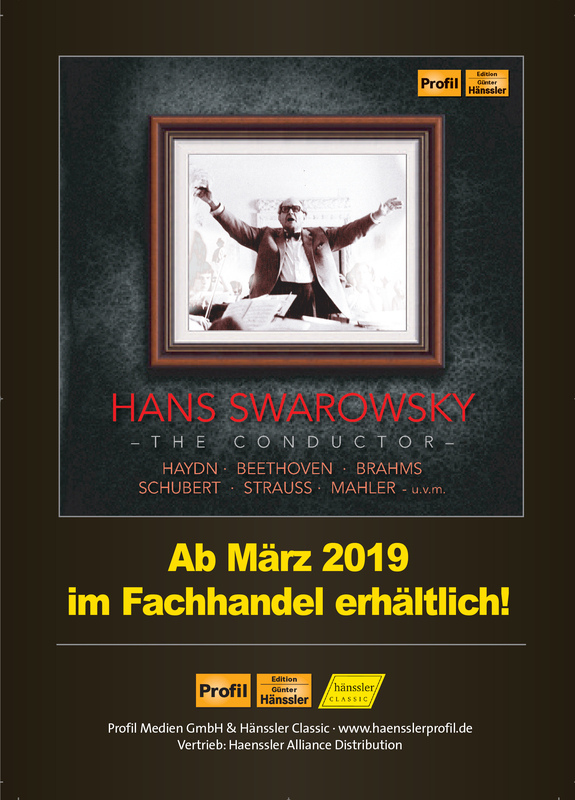 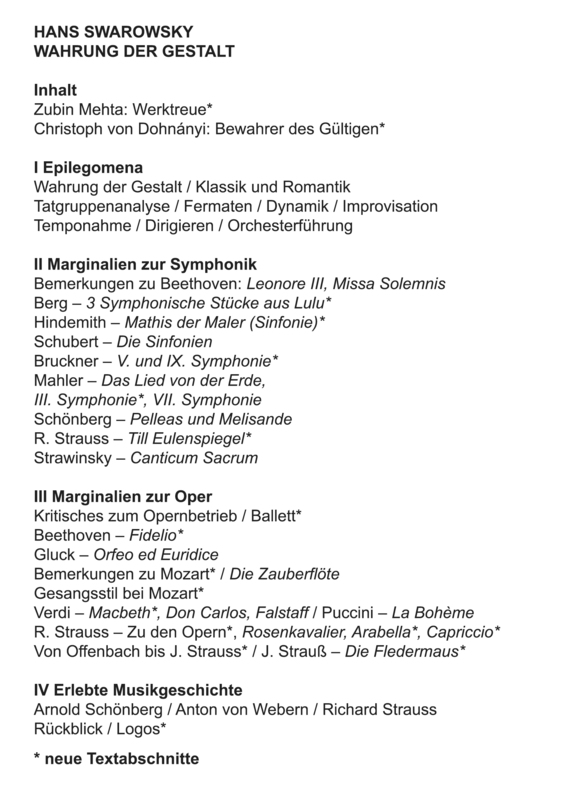 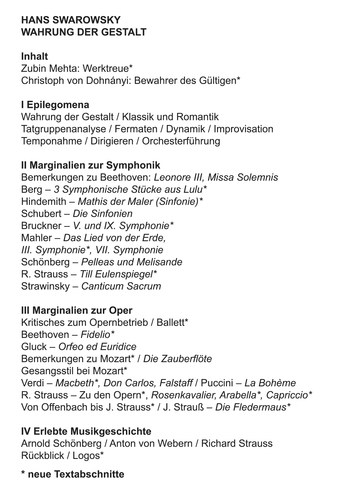 This book was originally conceived by Richard Strauss together with Hans Swarowsky, but could not be completed, owing to the abundance of material needed and to other commitments on Swarowsky's part. 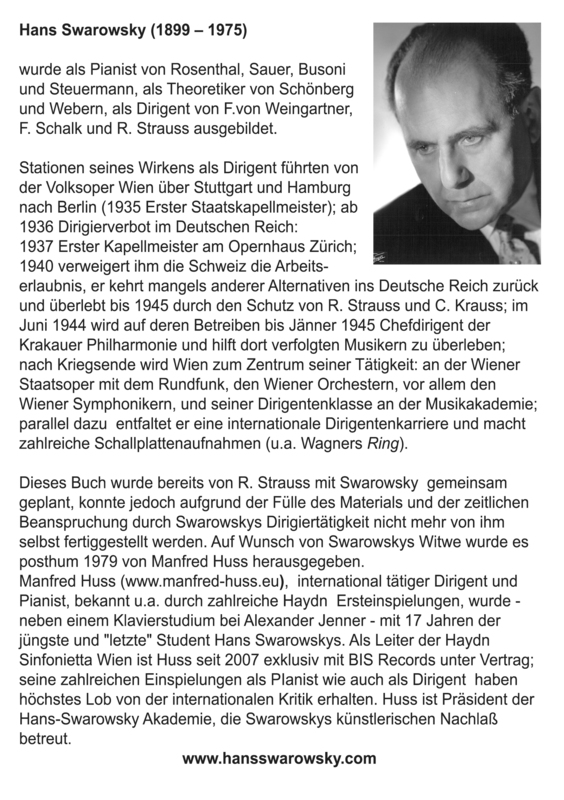 At the request of Swarowsky's widow, it was published posthumously in 1979 by Manfred Huss. 'Wahrung der Gestalt' contains Swarowsky's literary-philosophical reflections on questions of aesthetics, style and interpretation, his recollections of personalities such as Strauss, Webern and Schoenberg, and his analytical and practical instructions for conductors on key questions of repertoire. 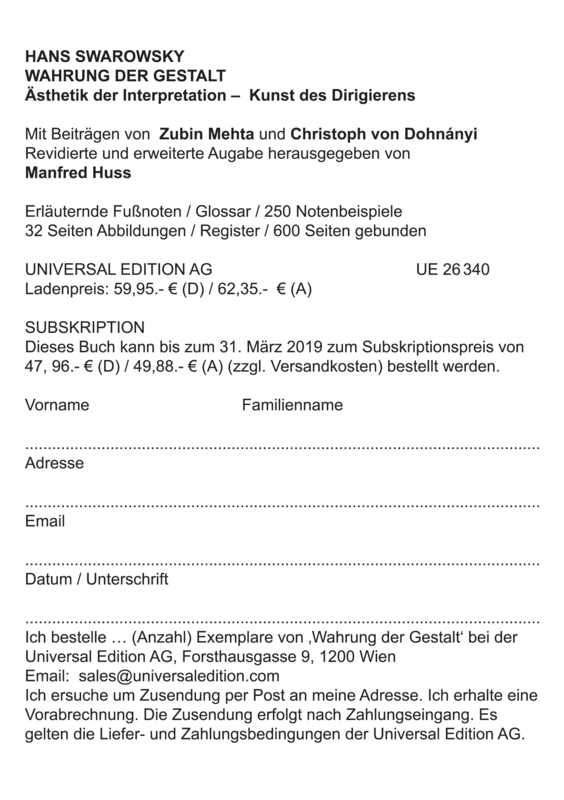 Universal Edition is publishing an updated and revised edition in 2019, which will be followed for the first time by English and Italian editions; versions in other languages are planned. 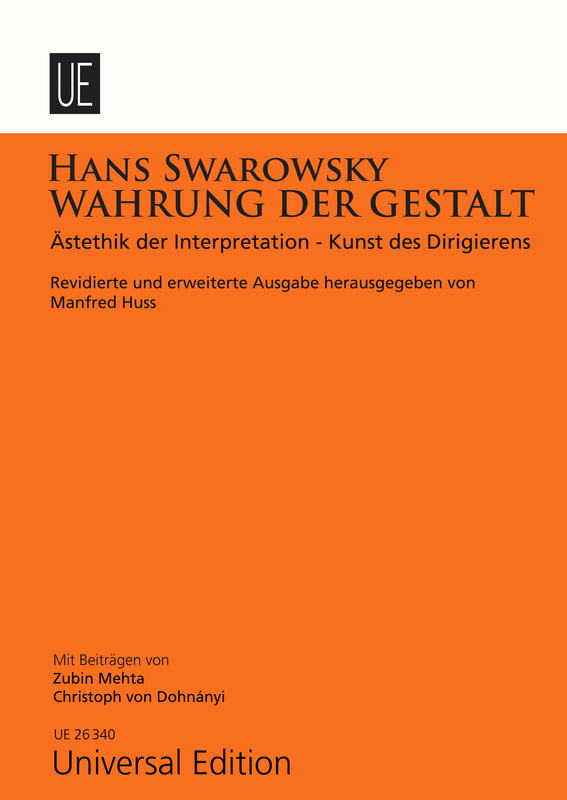 To pre-order the revised German edition of 'Wahrung der Gestalt' please contact Universal Edition: sales@universaledition.com, to be kept up to date about other language versions please contact the Hans Swarowsky Akademie: akademie@hansswarowsky.com.